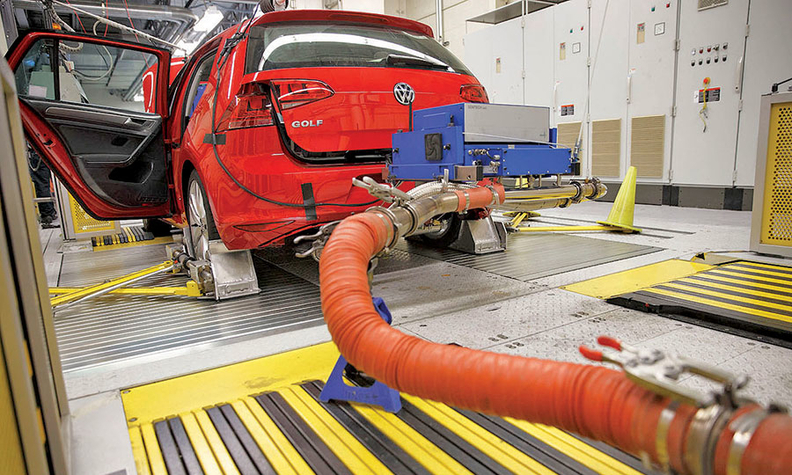 BERLIN (Reuters) -- Volkswagen engineers have come up with a catalytic converter that could be fitted to around 430,000 cars in the U.S. as a fix for vehicles capable of cheating emissions tests, German daily Bild am Sonntag reported. The converter would be fitted to cars with the first generation of the EA 189 diesel engine, the paper reported in its Sunday edition, without providing information on its sources. A source familiar with the matter told Reuters that the proposal for a technical solution VW has drawn up includes a new catalytic converter system made in part from new materials. Volkswagen has struggled to agree with U.S. authorities on a fix for vehicles fitted with the emissions test cheating devices, Reuters reported this week, showing how relations between the two sides remained strained four months after the scandal broke. The fix would need to be approved by the U.S. Environmental Protection Authority, and Volkswagen CEO Matthias Mueller hopes to convince EPA officials at a meeting on Wednesday in Washington, Bild am Sonntag further added.